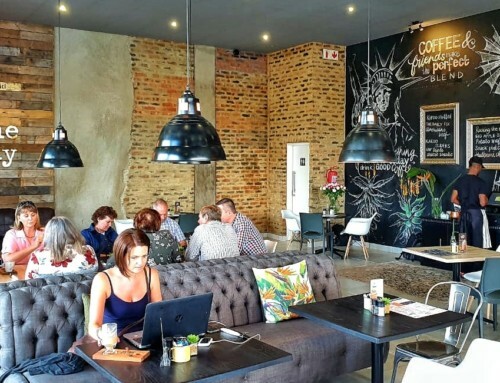 These pensive words come from Derek de Lange, owner of The Daily Coffee Café Three Rivers in Vereeniging. According to Derek, coffee flows in his veins. He even hints that his blood group could be C (for Coffee) Positive! 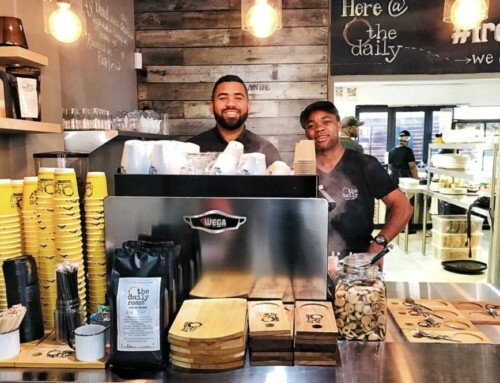 It, therefore, doesn’t come as a surprise that he has chosen to own a The Daily Coffee Café franchise as a way to live his dream as an entrepreneur. 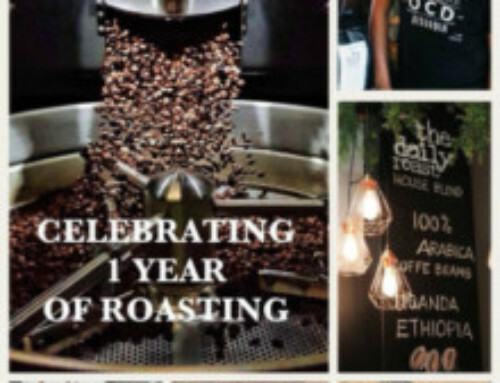 Whether it’s the rural atmosphere of the Three Rivers neighbourhood amid three prominent South African rivers, its location in a safe and intimate shopping centre, or its welcoming ambiance, The Daily Coffee Café Three Rivers has become a destination frequented by friends and families – even newcomers – to enjoy good times together and become a part of its extended family. When it comes to what they offer, Derek and his team place a high emphasis on consistency. According to Derek, patrons come back because they know that they’ll enjoy the same high quality of food and service time and again. 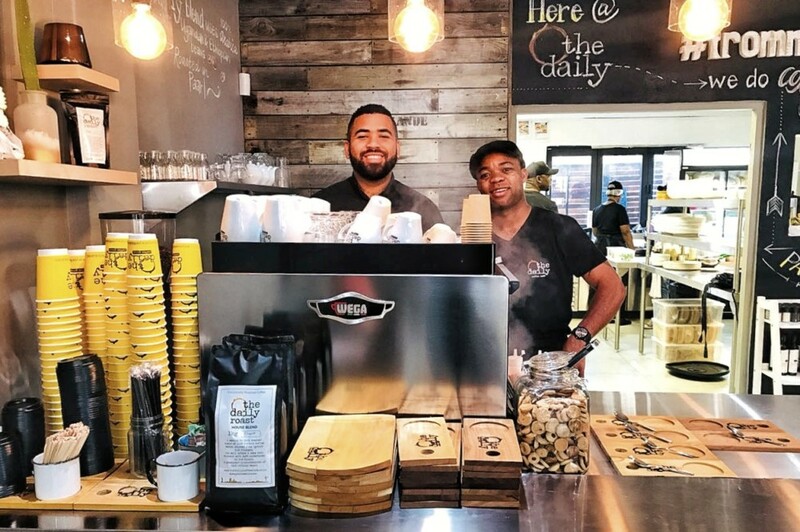 “But consistency also lies in the fact that they’re accustomed to seeing me and our café manager, Brandon, personally overseeing the activities in our franchise,” he adds. Apart from offering the comprehensive The Daily Coffee Café menu, it is also important for Derek to provide additional and interesting blackboard menu items that their clientele favour. Part of this is serving a meal of the day for those wanting something straightforward to keep the hunger away, come lunchtime. Derek speaks highly of his staff. “We are extremely proud of our workforce, with almost all the original members of staff having been with us since we opened almost a year ago,” says Derek. He attributes their low staff turnover to a number of aspects, among others good training, the opportunity to be themselves and to grow in the workplace, and the fact that their kitchen staff, especially, had been cross-trained, able to fill any job function in the kitchen. 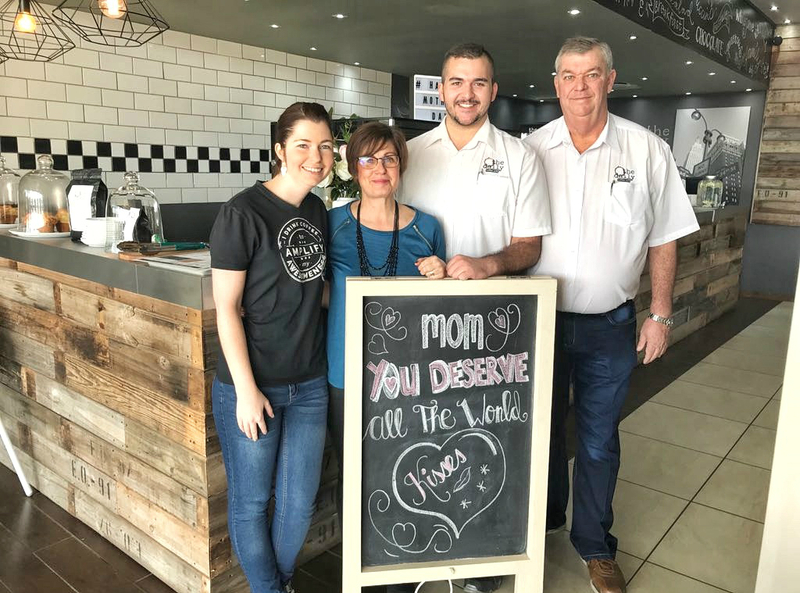 He also thanks his wife Helena and daughter Michelle for their contribution, adding their special touch when needed to make the Daily Coffee Café Three Rivers such a special place. 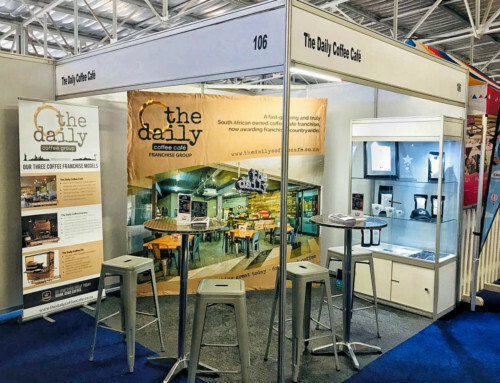 Derek is proud to be associated with The Daily Coffee Group as a franchise business. 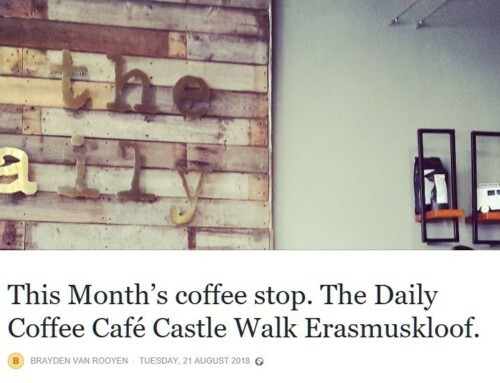 “The Daily Coffee Café is a well-conceptualized franchise model in all aspects. 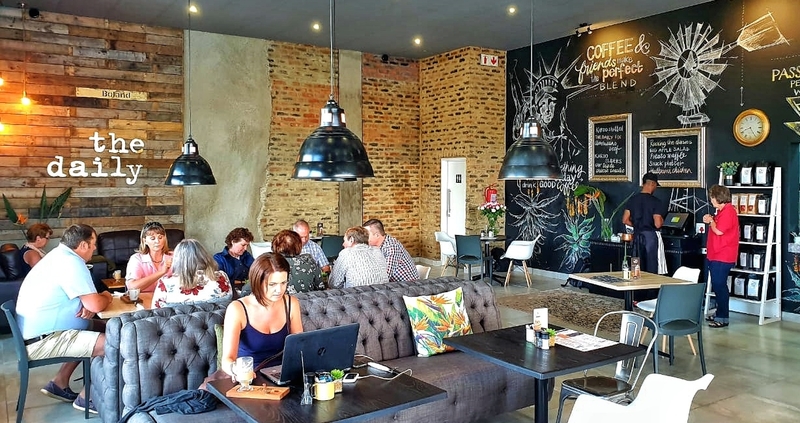 Its distinctive New-York-meets-Karoo décor theme, especially, makes us stand out and offers a pleasing ambience that patrons enjoy and talk about.” He also speaks highly of the way in which the franchisor offers knowhow and support in the day-to-day running of their business. 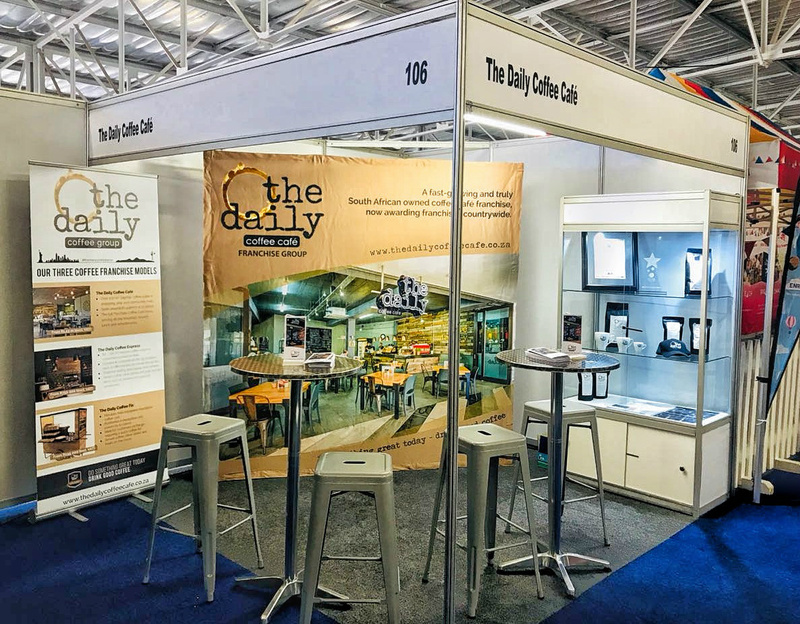 “Investors looking to invest in a franchise cannot go wrong if they consider what The Daily Coffee Group offers,” he adds. 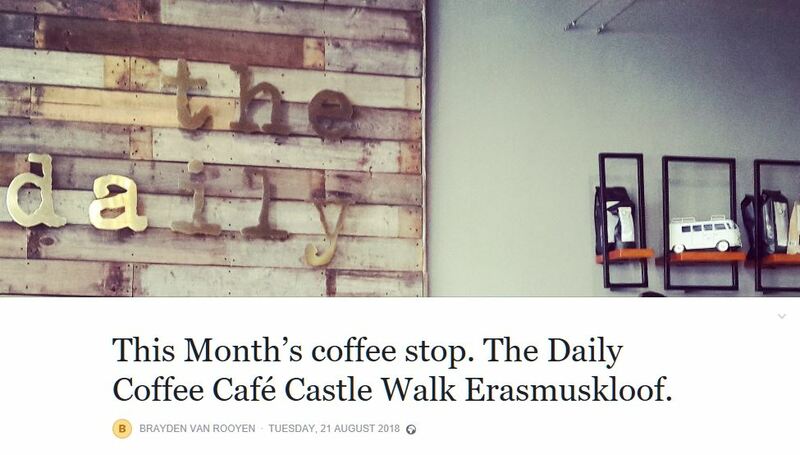 The Daily Coffee Café Three Rivers, like any other business, has many cogwheels that make it work and that tie things together – amongst others, proud members of staff, good and consistent service, and an inviting ambience. 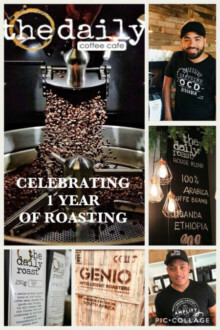 What differentiates this business, though, is that coffee is the champion that makes it special for those who come their way. Could this be because its owner truly understands that wonderful beverage called coffee? Perhaps. Could it be because coffee runs in his veins? Certainly!